To plant yourself under the sun of the beach in the Barceloneta all day is not the only way to enjoy the coast of Barcelona. Discover that by taking a ride by bicycle. If the last week we proposed a tour around the mountain of Montjuïc, this week we suggest for you to also discover the history and the evolution of the beaches in Barcelona, especially the Barceloneta. 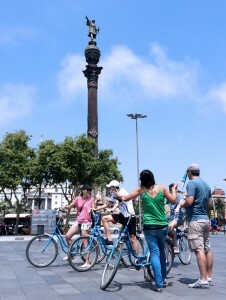 We will start at the Port Vell (Old Port), one of the oldest parts of Barcelona. It has gone through more than four centuries of transformations: from being one of the first stable docks of the city to becoming an important commercial and touristic zone. Following the sea line, we will go through the sector of the Barceloneta to arrive at the Port Olímpic, built for the 1992 Olympic Games, a key event in the Barcelona transformation. And in this line of transformations, we will arrive at the Universal Forum of Cultures, another great place of modern architecture of the city. 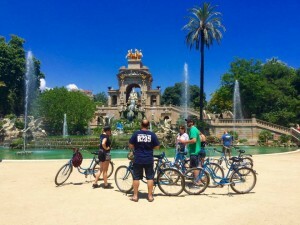 Upon returning, in order to not repeat, the best place to get to know on bicycle and stop to rest is the Parc de la Ciutadella with perfect earthen pathways for circulating and green spaces for lying down and enjoying the shade. In addition, you will find great jewels (although this will be the content of another mail, so we will do it in the future…). Enjoy this tour through the coast of Barcelona which is full of activity during day and night. From now until the 16th of August, on Thursdays and Sundays at 9 p.m., there are also free projections of films and short films at the San Sebastian Beach of Barcelona! Barcelona is not only a port city with lively beaches; it also stands out thanks to its green places, especially Montjuïc, a magic mountain, which we can reach by pedalling from the sea and where we will find the best combination of nature and culture. 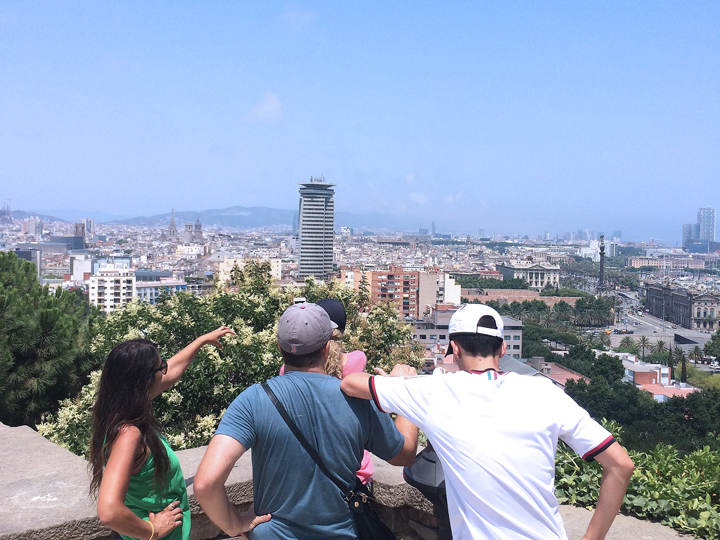 From this elevated place we will have the best view of Barcelona, but before, we will enjoy an amazing tour, because in BornBike we think that without the previous experience the end is not so worthwhile. In order to arrive at the top from the port, the best choice is to start at the Statue of Colón, although instead of following its indication, we will go up through the Paral·lel Avenue, a homage to the scenic arts in the city. At Plaça Espanya, we will continue going up through the Maria Cristina Avenue, a street that, without any doubt, you should not miss if you want to get to know the history of the great events in Barcelona. We will see the National Palace, the Magic Fountain lit up in the evening and the Poble Espanyol in first person. All of them are the results of the International Exposition in 1929. Once we have arrived at the top, we cannot forget the Sant Jordi Palace and the Olympic Stadium: both were protagonist of the 1992 Olympic Games. 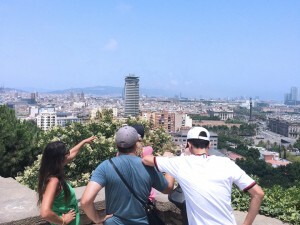 And then yes, we can observe Barcelona at the Mirador (Lookout) de Miramar, because then we are going to do that with a richer and more experienced vision.